To start, preheat an oven to 190c then combine the sugar, butter and flour in a large mixing bowl until they form a buttery crumb. It should be quite maleable and you’ll probably have to do it by hand, it will have a texture like playdough. 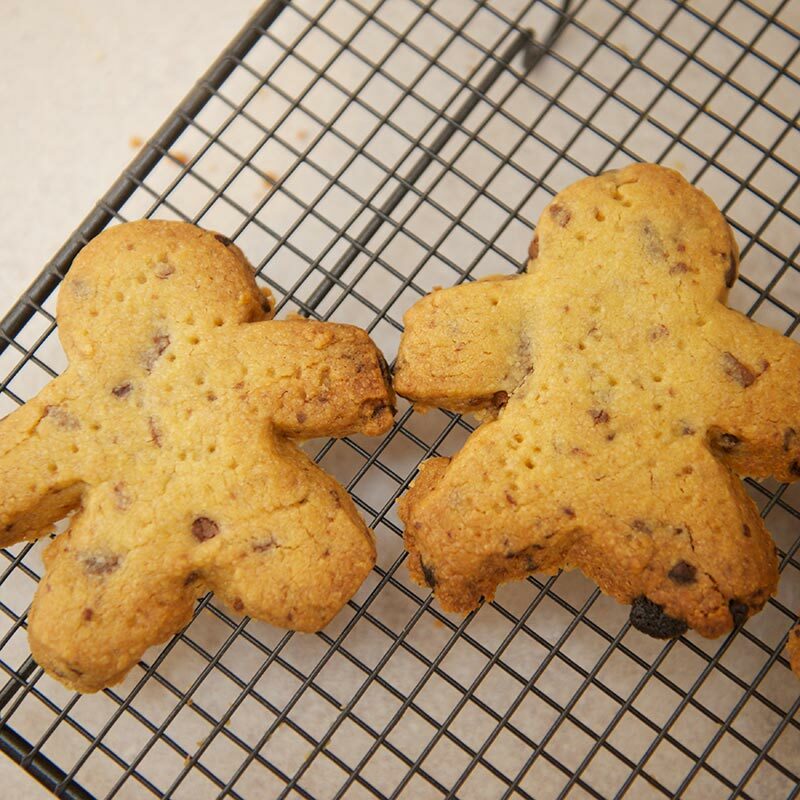 Then chop your chocolate up with a knife into small irregular chunks and combine with the buttery biscuit mixture. 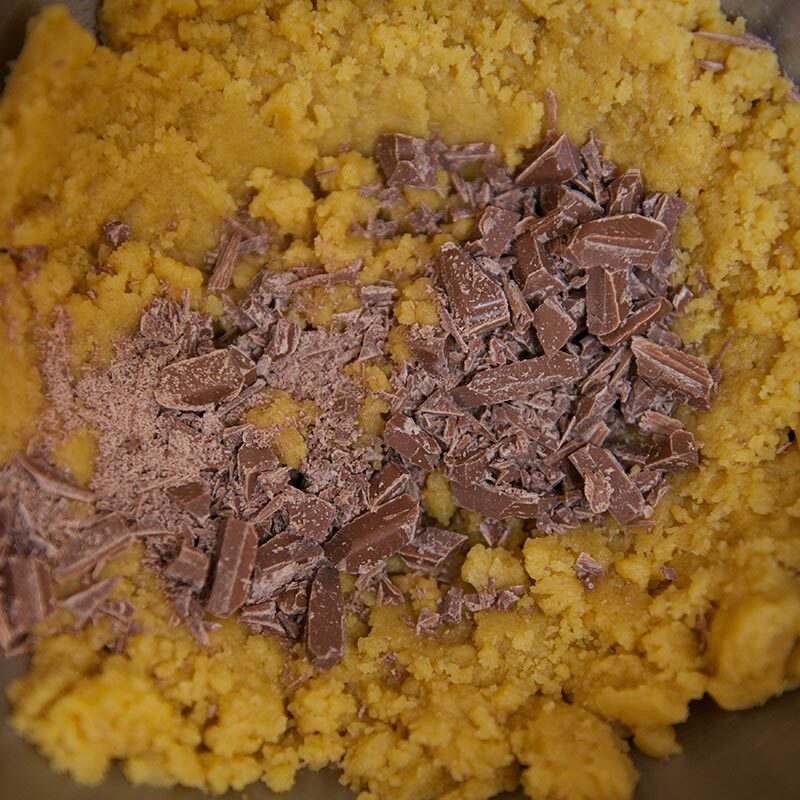 When the chocolate is mixed in, roll out the biscuit mixture on a lightly floured work surface. 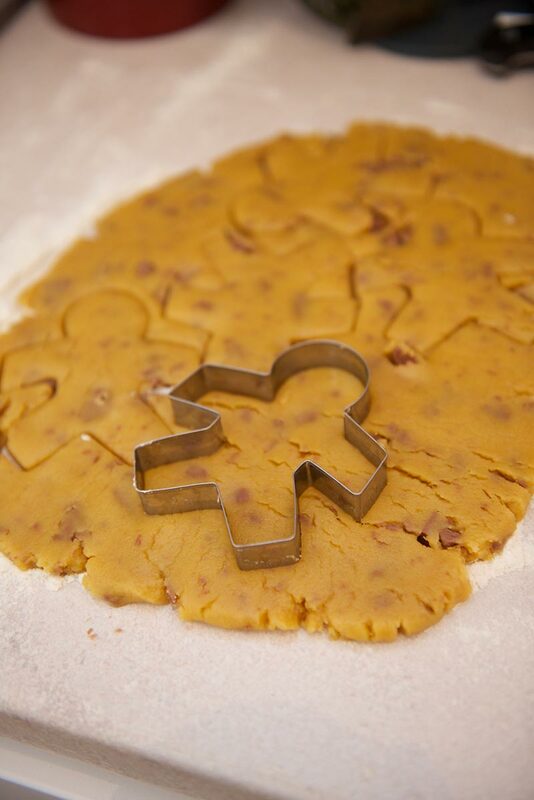 When you cant roll it thin enough to spread over your baking tray, decide to use a cookie cutter of your choice instead and cut out individual biscuit shapes. Once you have used all the mixture, pop the baking tray of biscuits in the oven and bake for about 20 minutes until golden brown and stiff. 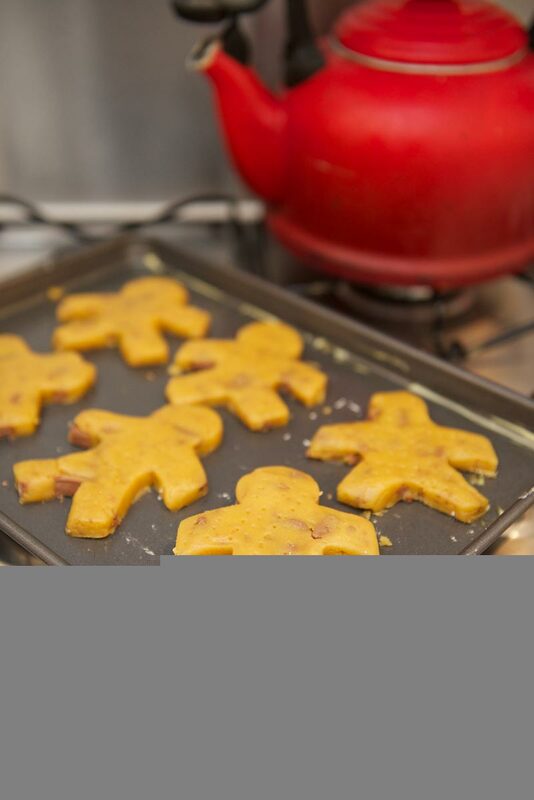 Remove the biscuits from the tray immediately and allow to cool on a cooling tray. 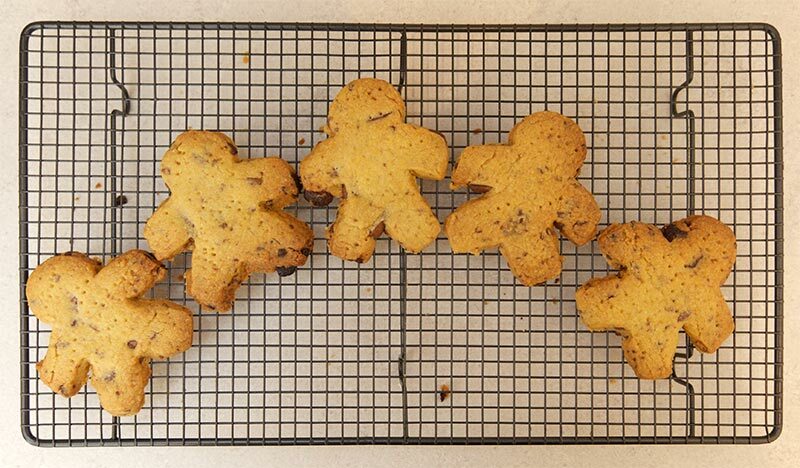 A very straight-forward recipe but a good first biscuit never the less. 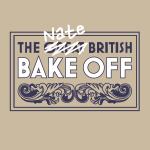 Thanks to Nick for sharing, I’ll be cooking a Baileys Baked Cheesecake in the next few weeks too, another recipe from Nick.